The aim of this post is to provide you with some information about the five leading ayurvedic centers in India so that you can visit them when on a trip to the subcontinent. The popularity of Ayurvedic treatment around the world has led to the development of many specialized Ayurvedic centres in India. India is by far the world's most popular Ayurvedic centers. It is also a core center when it comes to nature cure and rejuvenation.Yoga, meditation, and Ayurveda form a major part of India's health tourism sectors with Ayurvedic centres located mostly in the states of Kerala, Uttarakhand, and Goa. The sedentary lifestyle that people living in cities follow takes a toll on their general health and well-being. This makes them prone to chronic illnesses and life-threatening diseases. Ayurveda, an ancient system of medicine with roots in India, helps them combat diseases and illnesses and enjoy a better quality of life. The origin of this alternative or complementary form of Ayurvedic medicine can be traced back to thousands of years and makes use of medicinal herbs to treat illnesses.This article helps you to find the top 5 ayurvedic centers in India and their major services in the field of ayurvedic treatments. Located in the heart of Kerala's capital city of Thiruvananthapuram (Trivandrum), Hindusthan Ayurvedic is a leading Ayurveda hospital especially one of the well known ayurvedic centres in Kerala that provides Panchakarma treatments.This ayurveda hospital in Trivandrum is complete with all facilities and features hygienic environment and serene ambiance. A panel of experienced Ayurveda practitioners are available for consultations and therapies are provided by highly qualified, trained, and experienced staff members. Medical tourism is also an area of focus for Hindusthan. ESPA Spa in The Leela hotel in Udaipur, the city of palaces and lakes, is one among other leading ayurvedic centers in India. The spa housed in a building constructed in 'haveli' style architecture, opulent tents and the manicured gardens contribute a great deal in relaxing the minds and souls of the guests. The Leela's clientele has grown from locals to national and international tourists. They all throng the resort set amidst Rajasthan's cultural heritage for experiencing wellness. In addition to offering hot stone massages, yoga, and meditation sessions, the Ayurveda center also features private yoga studios for discerning visitors. Ananda – In the Himalayas, is a luxury spa that is located in Narendra Nagar, Uttarakhand. Nestled in 100 acres of forest land in the Himalayan ranges amid sal trees, it overlooks the river Ganges and is close to the historical towns of Haridwar and Rishikesh. Established in 2000, it is the first destination spa in India. Ananda focuses on Ayurveda practices, aromatherapy, and yoga and combines them with the therapies followed in international spas. The key features of Ananda, India 's first ayurvedic spa center, include yoga pavilions, landscaped gardens, hydrotherapy spas, a golf course, and a Rejuvenation Cuisine. Thai and European treatment methods are also made use of in the spa. Goa is world renowned for its beaches and recreation activities. It also offers something very different and fulfilling in the form of Devaaya, the ayurvedic resort which is one of the leading ayurvedic centres in India. As the resort is located on an island in the Mandovi River, guests get to enjoy peaceful surroundings during the course of their stay. The fact that Devaaya is built according to Vaastu Shastra enhances its uniqueness. The traditional Hindu architectural system ushers in positive energy through symmetry. Located on a hillock to the south of the world famous Kovalam beach in the South Indian state of Kerala, Somatheeram is one of the best ayurvedic centers in Kerala and also the first Ayurvedic centre in the world. Established in 1985, the ayurvedic resort has done pioneering work in popularising Ayurveda holidays, meditation tours, and medical tourism. The serene surroundings, the goodness of Ayurvedic therapies, and a healthy diet help people get rejuvenated in a short while. As the popular ayurvedic hospital in Kerala , a team of doctors and yoga experts examine people visiting the resort with acute health conditions such as paralysis, arthritis, high cholesterol, fluctuating blood pressure levels, and breathing issues and recommend a set of healing exercises and diet plans to help them get relief from their medical conditions. This article reminds me of the one that had come out in Times of India around the same time last year. 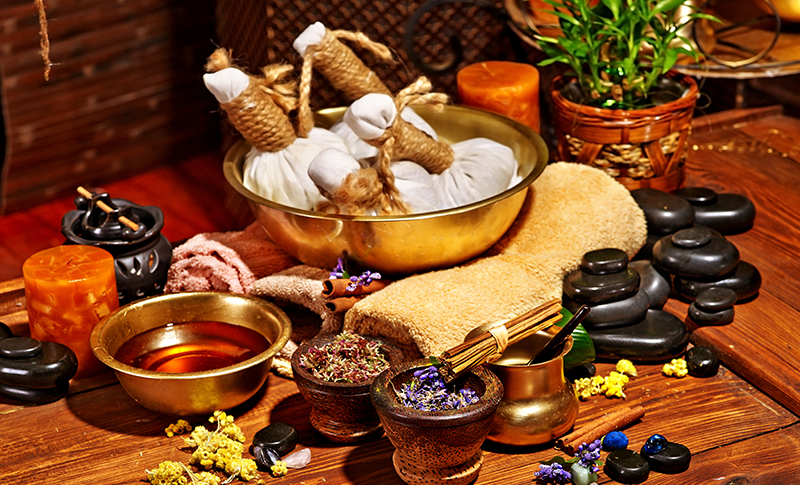 Most Ayurvedic centres have the appeal of natural therapy and de-stressing aspects. For me the term spa doesn't sit well with Ayurveda, it implies more of a beauty spa rather than the implication of health. Do these hospitals/ centres have a separate place for patients and for healthy people coming to rejuvenate themselves? I ask this because, if normal clients come down to relax and get recharged, they may not like to be grouped in the same place with patients (which happens in the hospital during master health checks). If possible, the rough costs in the places where treatment for diseases can be mentioned because we need to have an idea of how much it is going to be before calling up the centres. Jindal Nature Cure Institute in Bangalore is reputed for many years as a drugless or an alternative medicine treatment center. It is located at Jindal Nagar, Tumkur Road,Bangalore-560073 (www.jindalnaturecure.in). Aurvedic Centres have been very popular in our country because of the self-consciousness of the people in terms of their health. Ayurveda having innumerable herbs such as Ashwagandha, Tulasi, Satawari, Shankhapuspi etc have the proven healing effects in the rejuvenation of our body and apart from it, the centres employ Sridhara, Panchakarmas, Yogasanas to strengthen the body cells. There is nothing in their way of treatment which would cause any side-effects, unlike the Allopathy system. These centres take the utmost care of the patients by providing different treatments as per the requirement of the patients. However, looking at the cost of treatment at these centres, it does seem to be prohibitive which is contrary to the earlier concepts of Vaidyas providing holistic treatment at an affordable cost. A review of the prices for such treatment is essential to popularise the centres. Ayurveda is an age-old system in our country and people across the globe come to India to rejuvenate themselves with this great alternative therapy. As regards to the curing capabilities of this great methodology, I have to add that Ayurveda is basically a preventive type of method for ailments rather than curative. It may appear a strange statement but it appears so as it is more of a lifestyle than prescribing medicines and cure. People who follow an Ayurvedic system of lifestyle with consumption of basic materials like garlic, turmeric, ginger, lemon etc possess more immunity against microbes attacking us. Ayurvedic system believes in - Prevention is better than cure. Ayurveda is a very famous and well-established system of treatment in our country. The author has mentioned the best ayurvedic centres in India. I want to add one more centre in Andhra Pradesh. The name is Venkateswara Ayurveda Nilayam Limited, Chintaluru, East Godavari District. This is a very age-old establishment and it is in the service of the people from almost 80 years. The Doctors are very qualified and experienced in the treatment and their preparations are very good and follow all the traditional methods without any deviations. They have a very well established manufacturing facility and their organization is ISO certified with DSIR recognized in-house R & D facility. They have FDA approval for all their medicines and I personally experienced the benefits of the medicines. www.vanchintalur.com is their website and you can go to the site for your better understanding. I like to mention that there is no in-house treatment facility here. Only outpatient treatment is available. Their medicines are available in almost all the towns in AP and Telangana and in some places in Tamilnadu. One can order for the medicines online also. If this article is meant for giving information about notable Ayurvedic institutions in our area the names of major traditional Ayurveda centres are not referred here. In Kerala, the first few names that come to a majority will be Kottakkal Aryavaidyasala, Vaidyaratnam Oushadhasala of Ollur, S.N.A.Oushadhasala of Thrissur, etc. which are serving the people for more than hundred years. They are not only attending to the health problems of the people but also are encouraging the system of Ayurveda by establishing educational institutions and research centres. Some are having connections with foreign Universities and are making use of their know-how to modernise the existing medicine production system. Persons behind these establishments belong to the traditional Ayurveda families of this part of the country. They follow 'Ashtanga Hridaya' as their guiding bible for treatments. They run nursing homes where inpatients are admitted and treated. Thousands of patients make use of these facilities. Some of these institutions have their own gardens where different medicinal plants, including rare ones, are grown. This help in maintaining the quality of medicines. Kerala is famous for the medicinal plants. Western ghats are resourceful in this matter. Famous "Hortus Malabaricus", by Hendriks Van Rheid, a comprehensive treatise on medicinal plants of the Western Ghats and the adjacent areas is a ready reference book on medicinal plants.